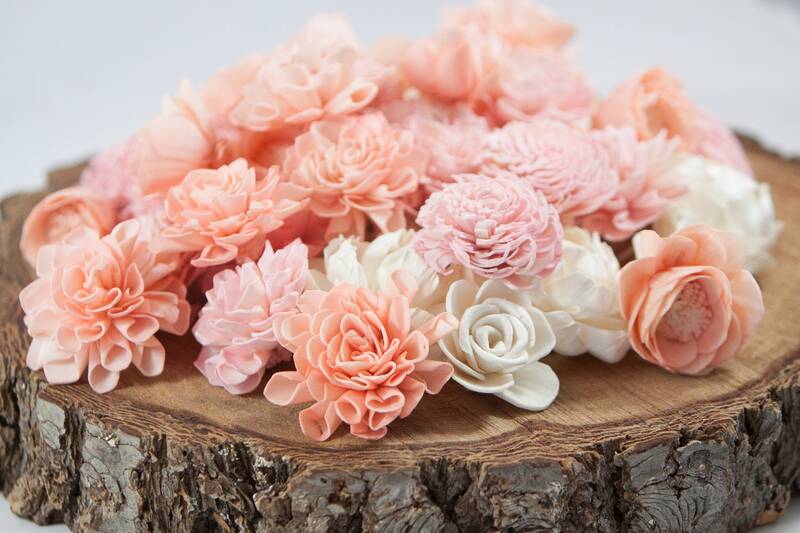 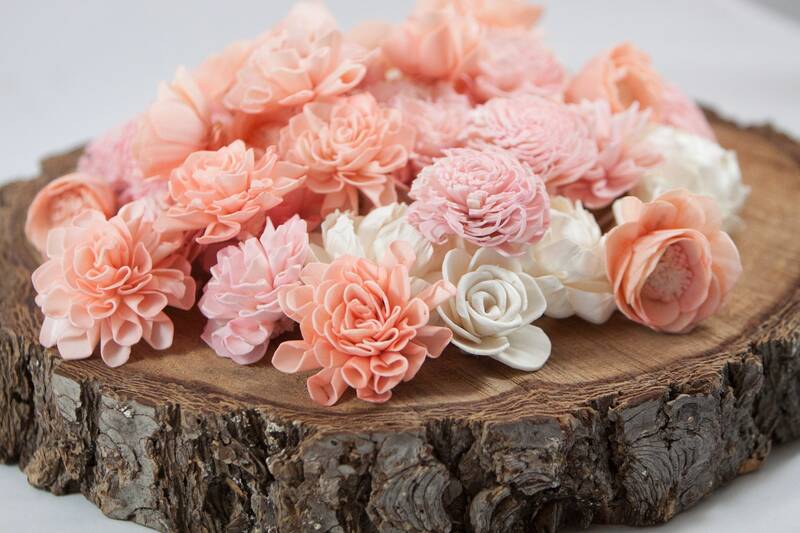 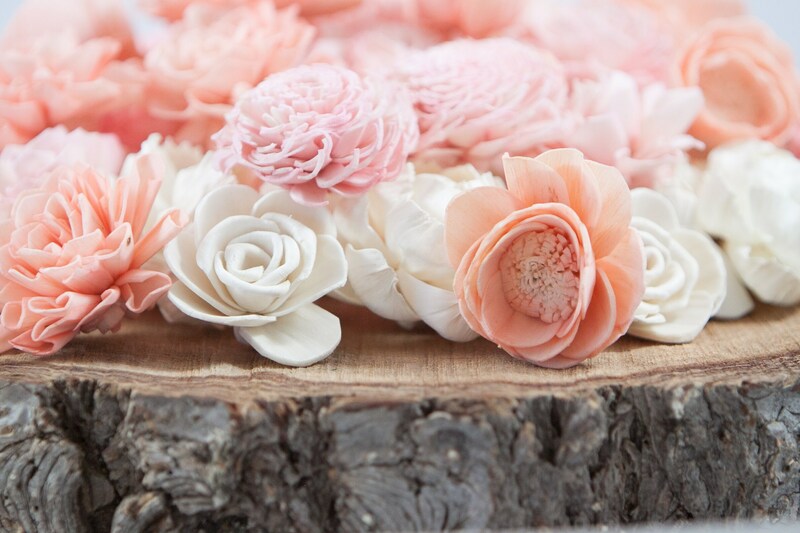 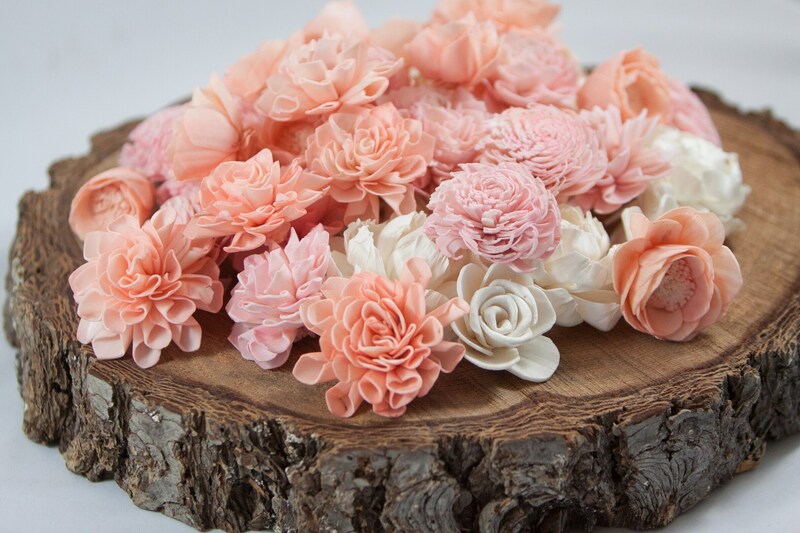 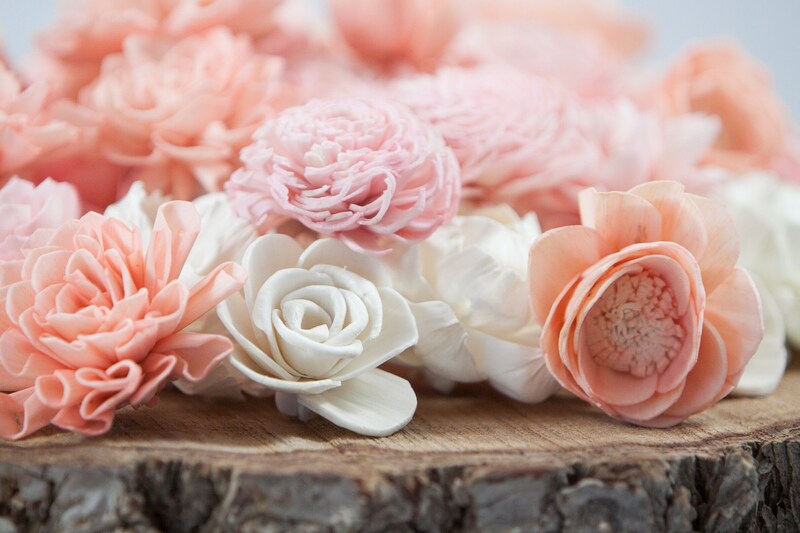 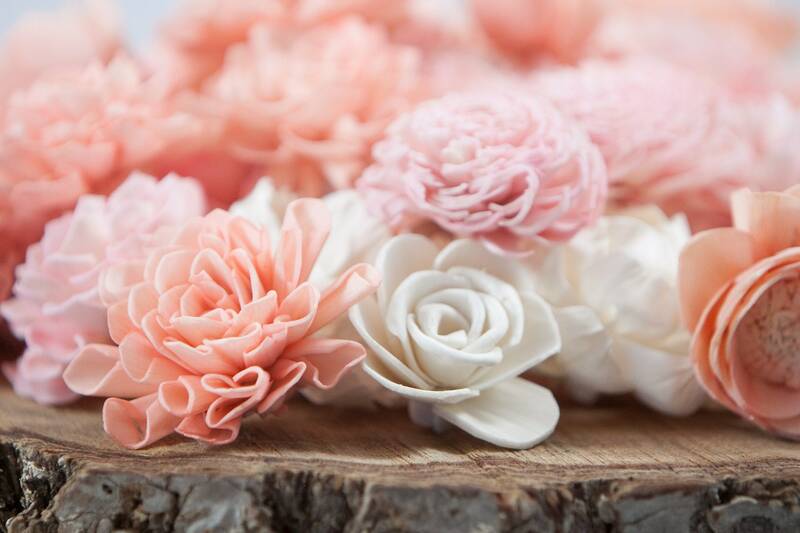 An assortment of peach, pink and ivory sola flowers. 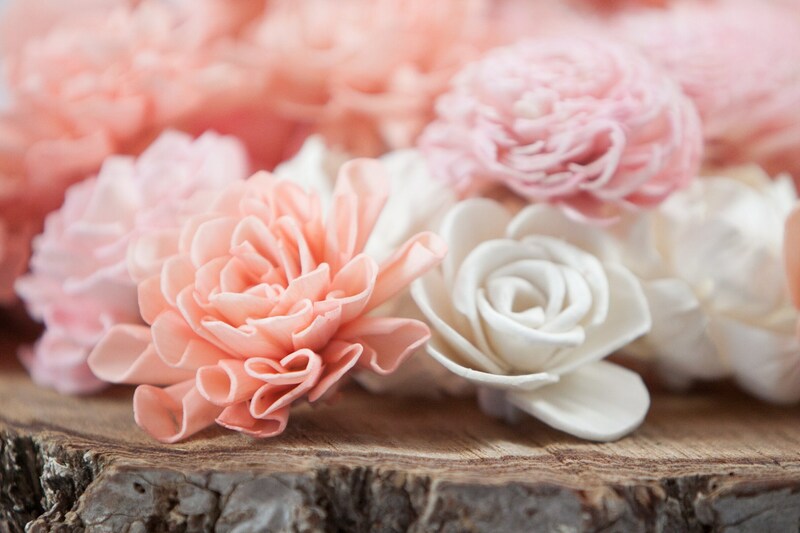 Great for a variety of crafts! 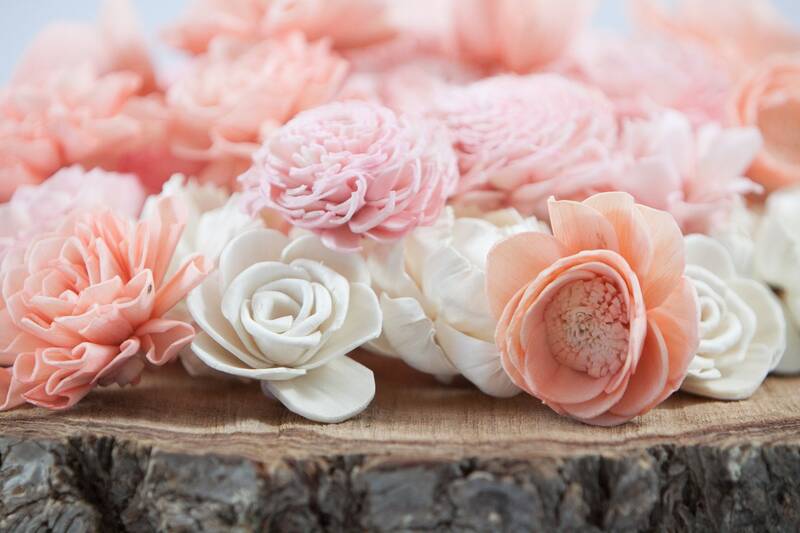 The mix includes all dahlias, camelias, chorkis, peonies and maria sola flowers.